Vandalism can’t always be avoided but protecting your wallet in the midst of crime is something every store owner wants. 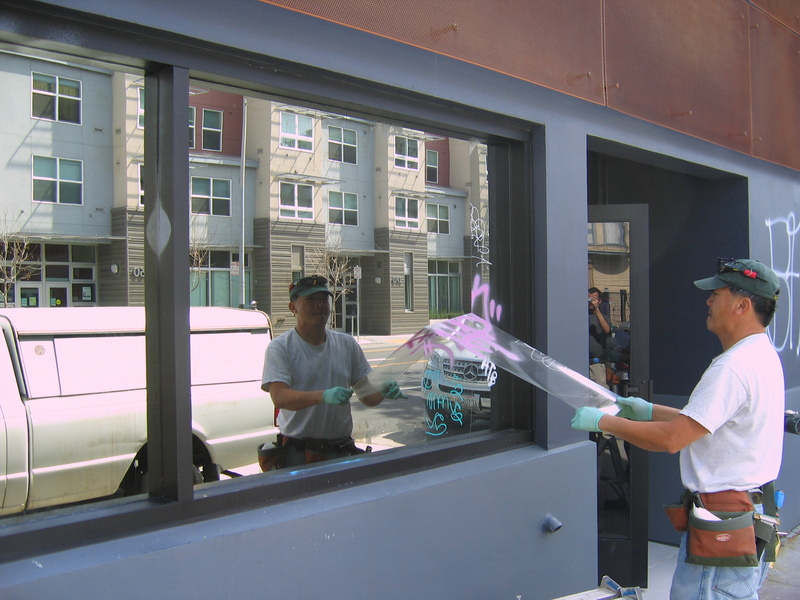 The anti-graffiti film is a transparent layer of film placed on top of windows to prevent the need for full window replacements while continuing to keep the window’s views. When vandalized, the film can be easily removed and replaced. The replacement cost is cheaper and more affordable than the need to replace the glass of the window. Making the investment on anti-graffiti film now will save store owners from future headaches and economic loss. This entry was posted in Anti-Graffiti Film, Blog and tagged anti-graffiti film, clear, economic, film, idea, nyc, protection, tinter, transparent, window film, window film installer, window film sales, window tinting. Bookmark the permalink.